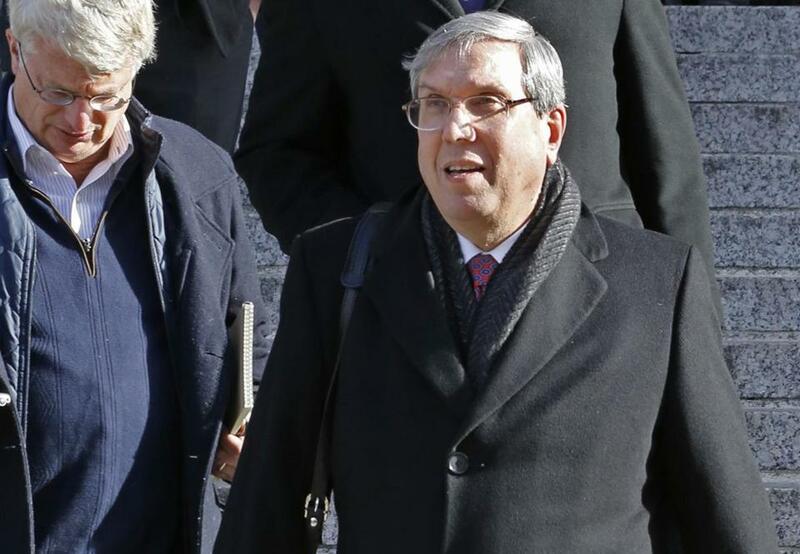 Attorney Jeffrey Kessler (right) represented Patriots quarterback Tom Brady at Thursday’s hearing in New York. NEW YORK — A decision in the NFL’s appeal of Federal District Judge Richard Berman’s vacating of Tom Brady’s four-game suspension likely won’t be announced for at least a couple months. But if Thursday’s hearing in front of the US Court of Appeals for the Second Circuit was any indication, Brady might have suffered his first crushing defeat of the 2016 season. The three judges who heard the case — Chief Judge Robert A. Katzmann, Barrington D. Parker, and Denny Chin — questioned the attorneys from both the NFL and NFL Players Association during the hearing, which lasted about 1 hour, 10 minutes. Here are the documents filed in connection with the NFL’s appeal of Judge Richard M. Berman’s ruling regarding Tom Brady’s punishment in Deflategate. The judges focused a significant portion of the hearing on Brady destroying his cellphone before meeting with investigator Ted Wells in March, and not alerting Wells or the NFL about it until just a few days before the Patriots quarterback appealed his four-game suspension in front of commissioner Roger Goodell at the NFL offices June 23. The NFLPA has called the cellphone issue a “red herring,” and said the NFL had no right to view Brady’s phone. But Parker found the cellphone destruction to be a significant aspect of Goodell’s punishment against Brady. Clement highlighted to the court that Goodell didn’t change Brady’s punishment after finding out about the cellphone, he only affirmed it. “The cellphone issue raised the stakes,” Parker said in a 30-minute question-and-answer session with Kessler. “Took it from air in a football to compromising a proceeding that the commissioner convened. At issue is whether Berman ruled correctly in vacating Brady’s four-game suspension last September, a ruling that enabled Brady to play the entire 2015 season. The NFLPA argued successfully then that the NFL did not give Brady notice that being “generally aware” of ball tampering could lead to a four-game suspension, noting that every other equipment violation in league history resulted in a fine. The NFL’s response in both district and appellate courts was that the collective bargaining agreement gives Goodell wide-ranging powers to punish players who threaten the “integrity of the game,” and that the courts have no basis to overturn Goodell’s punishment as long as it is reasonably based in the CBA. A decision is not expected for several months. The judges can either affirm Berman’s decision, overturn it and reinstate Brady’s punishment, overturn it and remand the parties back to Berman’s courtroom, or overturn it and require the parties to redo the June 23 appeal hearing. If the NFL wins this appeal, Brady could be facing a four-game suspension to start the 2016 season. Both sides have appeal rights, first with the entire Second Circuit and then with the US Supreme Court, but most appeals at that level are denied. Clement asked the judges only to reinstate Brady’s punishment. Kessler said that if the decision is overturned, it should be remanded back to Berman’s court. Katzmann had the most questions for Clement’s side, probing Clement as to why the penalty for ball deflation is more harsh than a penalty for using Stickum on a receiver’s gloves, or to point out the proof that Brady induced team employees John Jastremski and Jim McNally with gifts. But Parker was more dogged in attacking Kessler’s case, and Chin had many more questions about the NFLPA’s argument than he did the NFL’s. The judges read the briefs submitted by each party several months ago, and were well-versed on the facts of the case. While Berman’s ruling is the central issue, the three judges spent most of the hour exploring the facts of the case to determine whether Goodell’s ruling was based on the essence of the CBA. Chin took issue with Kessler’s argument that the Uniform and Equipment Policy applies to game balls and should have constituted only a fine for Brady. Chin said that the policy cited applies only to equipment worn by a player, not to the actual footballs. Even Katzmann took issue with Kessler’s contention that the only appropriate punishment would have been a fine. “Your challenge is to find where in the CBA does it say if you tamper with game balls and then obstruct, where does it say the only punishment is a fine?” Katzmann said. At one point, Kessler seemed to grow frustrated with the judges’ intense line of questioning. “I sense that you all are influenced by your version of the facts,” Kessler told the judges. “We were influenced by the briefs that you wrote,” Parker answered.